Founded in 670, Kairouan flourished under the Aghlabid dynasty in the 9th century. Despite the transfer of the political capital to Tunis in the 12th century, Kairouan remained the Maghreb's principal holy city. Its rich architectural heritage includes the Great Mosque, with its marble and porphyry columns, and the 9th-century Mosque of the Three Gates. نشأت مدينة القيروان عام 670 في ظل حكم الأغالبة وازدهرت في القرن التاسع، وقد ظلت محافظة على طابعها الديني الأبرز افي منطقة المغرب رغم انتقال العاصمة السياسية الى تونس في القرن الثاني عشر. ويتضمن تراثها المعماري الغني بشكل خاص المسجد الكبير بأعمدته المصنوعة من الرخام التقليدي والرخام السماقي ومسجد الأبواب الثلاثة العائد الى القرن التاسع. Основанный в 670 г., Кайруан процветал при династии Аглабидов в IX в. Несмотря на перенос в XII в. политической столицы в Тунис, Кайруан остался главным священным городом стран Магриба. Его богатое архитектурное наследие включает Большую мечеть с ее мраморными и порфирными колоннами и Мечеть «Трех дверей» IX в.
Fundada el año 670, la ciudad de Keruán prosperó bajo la dinastía de los aglabíes en el siglo IX. Aunque la capitalidad política se transfirió a Túnez en el siglo XII, Keruán siguió conservando su condición de primera ciudad santa del Magreb. En su rico patrimonio arquitectónico destacan la Gran Mezquita, con sus columnas de piedra y pórfido, y la mezquita de las Tres Puertas, que data del siglo IX. In het hart van Tunesië – de afstand naar de zee en naar de bergen is bijna gelijk – ligt Kairouan. Het is een van de oudste Arabisch-Islamitische steden van de Maghreb en een van de belangrijkste heilige steden. Kairouan werd in 670 gesticht en kende hoogtijdagen tijdens de Aghlabid-dynastie in de 9e eeuw. Ondanks de verplaatsing van de politieke hoofdstad naar Tunis in de 12e eeuw, bleef Kairouan de voornaamste stad van de Maghreb. Haar rijke architecturale erfgoed omvat de Grote Moskee, met zijn marmeren en porfiere zuilen en de 9e-eeuwse moskee van de Drie Poorten. Located in the centre of Tunisia in a plain at an almost equal distance from the sea and the mountain, Kairouan is the most ancient Arabo-Muslim base of the Maghreb (670 AD) and one of its principal holy cities. Capital of Ifriqiya for five centuries, it was a place of outstanding diffusion of Arabo-Muslim civilisation. Kairouan bears unique witness to the first centuries of this civilisation and its architectural and urban development. The inscribed site is a serial property that includes the medina and its suburbs, the Basins of the Aghlabids and the Zawiya of Sidi Sahib. The medina (54 ha) and its suburbs (20 ha) are an urban ensemble presenting all the components of an Arabo-Muslim town. The medina comprises juxtaposed dwellings divided into quarters separated by narrow and winding streets; it is surrounded by ramparts that extend over more than three kilometres. The layout of the suburbs is straighter and the houses have a more rural aspect. The medina contains some remarkable monuments including the Great Mosque, an architectural masterpiece that served as a model for several other Maghreban mosques, the Mosque of the Three Doors that represents the most ancient existent sculpted facade of Muslim art. The Basins of the Aghlabids, an open-air reservoir formed by two communicating cisterns that date back to the 9th century, constitute one of the most beautiful hydraulic ensembles conceived to provide water to the town. The Zawiya of Sidi Sahib shelters the remains of the companion of Mahomet, Abou Zama El-Balawi. Criterion (i): The Great Mosque, rebuilt in the 9th century, is not only one of the major monuments of Islam but also a universal architectural masterpiece. The many but small changes in it have not altered the layout of this place of prayer, which forms a quadrilateral of 135 m by 80 m. At its southern end is a hypostyle prayer room with 17 naves supported by a « forest » of columns in marble and porphyry. On the north is a vast flagstone courtyard bordered with porticoes, interrupted in the middle of the smaller northern end by the massive square-shaped three-storey minaret. Criterion (ii): The Great Mosque served as a model for several Maghreban mosques, particularly for its decorative motifs, which are unique. Moreover, the Mosque of the Three Doors, built in 866 AD, is the oldest known Islamic mosque with a sculpted facade. Criterion (iii): With the Great Mosque, the Mosque of the Three Doors, and the Basin of the Aghlabids, not to mention the numerous archaeological vestiges, Kairouan bears exceptional witness to the civilisation of the first centuries of the Hegira in Ifrîqiya. Criterion (v): Protected by its walls and gates (Bab et Tounes, Bab el Khoukha, Bab ech Chouhada), the medina of Kairouan, whose skyline is punctuated by the minarets and the cupolas of its mosques and zawiyas, has preserved its network of winding streets and courtyard houses. Very few small windows or arched doorways are cut in the exterior walls, but inner walls have larger openings that give onto the central courtyard. This traditional architecture, having become vulnerable through the impact of socio-economic changes, constitutes a valuable heritage which must be protected in its entirety. Criterion (vi): Kairouan is one of the holy cities and spiritual capitals of Islam. Next to the Great Mosque, the first place of worship founded in the Maghreb only 38 years after the death of the Prophet, is the Zawiya of Sidi Sahâb where the remains of Abu Djama, one of Mahomet’s companions, are kept. It is not surprising that in the past, seven pilgrimages to Kairouan could take the place of the one pilgrimage to Mecca prescribed for all Muslims. The historic ensemble of Kairouan, with its central part and its suburbs, has conserved, without alteration, its urban fabric with its morphology and its architectural and architectonic components. All these elements bear witness to the Universal Value of the property and contribute to its integrity. Some dwellings have been completely renovated but the essential of the urban fabric, especially the monuments, is preserved. Adaptation to new life styles and socio-economic demands as well as restoration works carried out over time have not affected the intrinsic functional and structural authenticity. Some houses have however been reconstructed using modern materials. In addition to the thirty-six monuments benefiting from a specific listing for historic monuments, the historic ensemble of Kairouan is protected by Law 35-1994 concerning the protection of archaeological and historic heritage and traditional arts, by the Decree of 18 October 1921 concerning the protection of the souqs and the pittoresque quarters of the town of Kairouan and by the urban development plan of the town. To ensure the safeguarding and the good management of the historic ensemble of Kairouan, the National Heritage Institute has provided it with a management unit. There is also a proposal to create a safeguarded sector, a measure that shall be followed by the development of a safeguarding and enhancement plan. 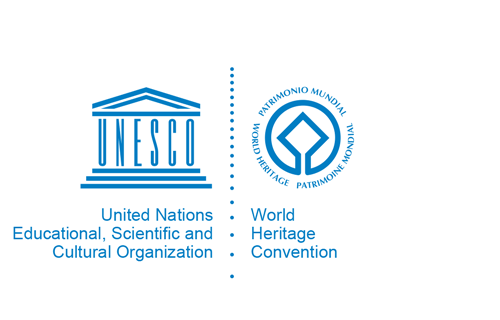 The boundary of an adequate buffer zone to ensure the protection of the three elements of the property inscribed on the World Heritage List is desirable, as well as the strengthening of control measures to check and reduce illegal constructions. The use of traditional materials and techniques for the restoration and repair of the monuments and houses should continue to be encouraged.